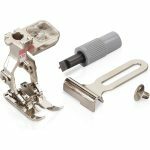 BERNINA offers you a wide selection of over 100 presser feet and accessories that give free rein to your creativity. 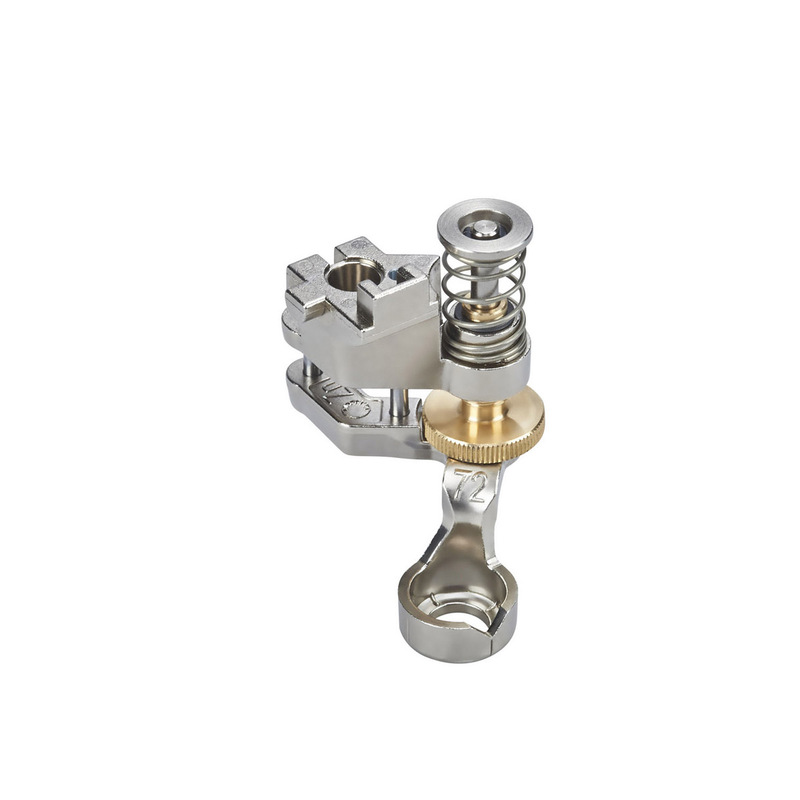 With the right precision foot it’s easy to finish your projects beautifully. 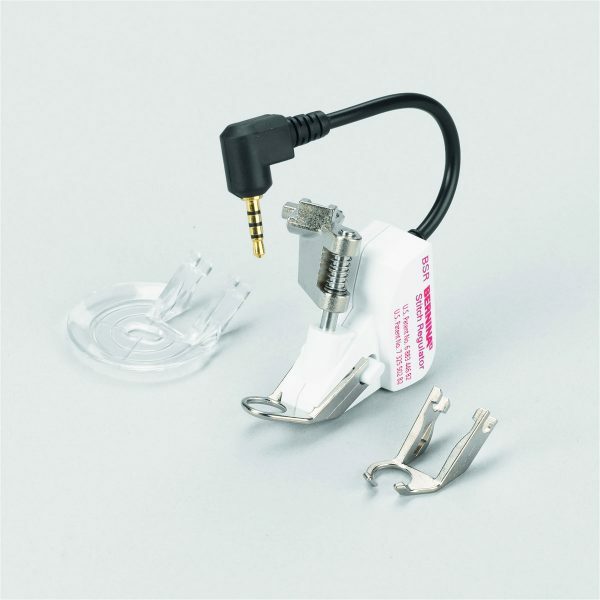 Today we’re taking a closer look at the best presser feet for patchwork and quilting. While there are actually many feet you can use when sewing patchwork and quilting, we’re sharing the feet most-used when creating patchwork and quilting stitches. 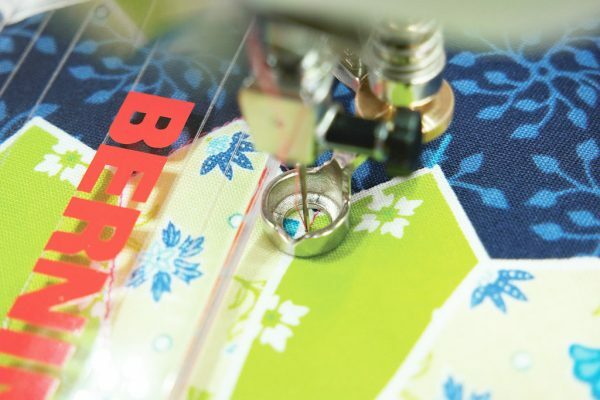 All of the BERNINA patchwork feet have been specially engineered to help you sew the most precise 1/4″ or 1/8″ seams for patchwork and accomplish this task with a few slight differences between them. 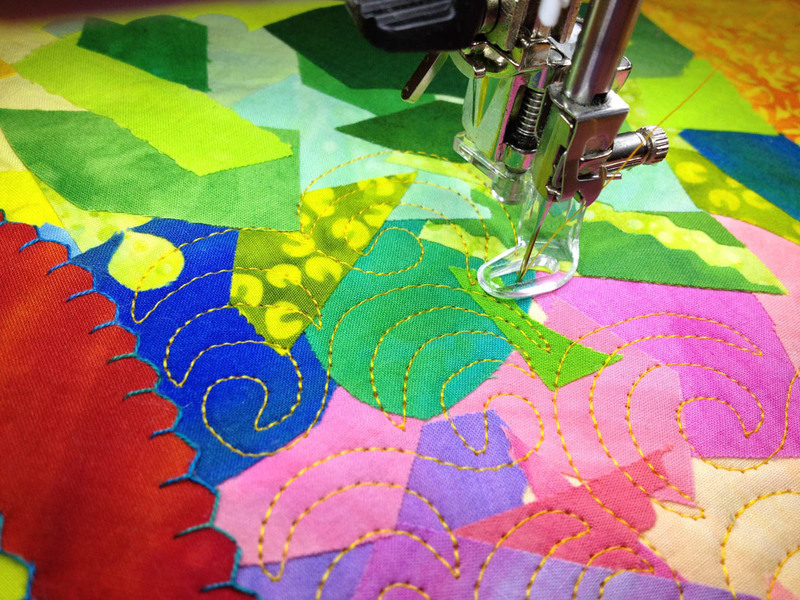 Quilters usually have a favorite for patchwork seams. 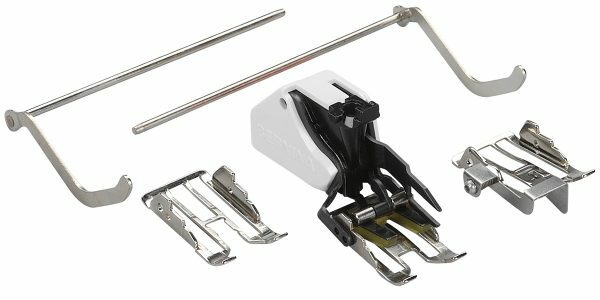 Which patchwork foot you choose will depend on your model BERNINA and if you prefer sewing with or without a guide. 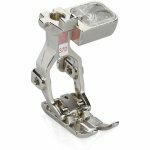 Patchwork foot #37 and #37D are ideal for sewing 1/4″ or 1/8″ seam allowances. 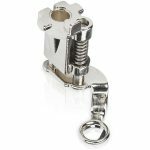 These feet also include three evenly spaced markings (1/4″ apart) on its side that make the square insertion of pieces in patchwork sewing easier. A narrow groove under the flat sole serves as a thread channel for smoother piecing. The shape of the foot itself is also a guide to sewing 1/4″ and 1/8″ seams, see how in this video tip at WeAllSew. 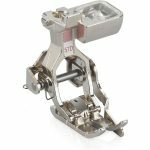 Patchwork foot with guide #57 and #57D differs from Patchwork foot #37 only in that it has a built-in seam guide along the right edge of the foot. It’s perfectly suited for patchwork projects with a 1/4″ seam allowance, just match raw edges to the guide and you will stitch the perfect quarter-inch seam. 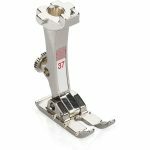 The BERNINA Patchwork Foot #97 and #97D are designed for straight-stitching and sewing 1/4″ or 1/8″ seam allowances and top stitching. These patchwork feet are designed for BERNINA machines that have a maximum stitch width of 9mm. 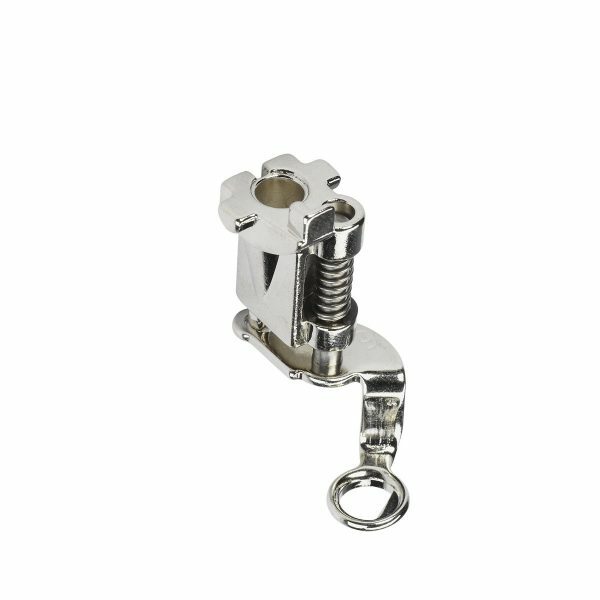 The foot print of the sole fits perfectly with the feeding system of 9mm machines for the most accurate feeding and stitching. See how to use those special markings on the the Patchwork foot #97 and #97D in this tip post. The Patchwork Foot #97 has an optional move-able seam guide. 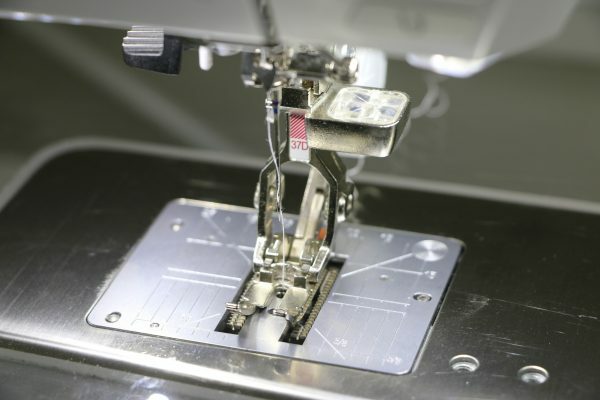 If you like the idea of sewing with a guide, you can use this Seam Guide with the Patchwork foot #97 and #97D as explained in this tip post. 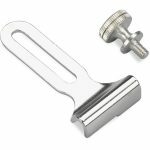 If you want to stitch-in-the-ditch, quilt with straight lines, or quilt with a decorative stitch the Walking foot #50 is the tool for you! Three-sole walking foot with seam guide #50 features a standard sole, a special quilting sole, and a sole with a central guide for edgestitching and stitching in the ditch. 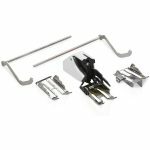 Also included are two seam guides help you sew accurately. Learn how to quilt with the serpentine stitch by following along with the Quilting With the Walking Foot tutorial. 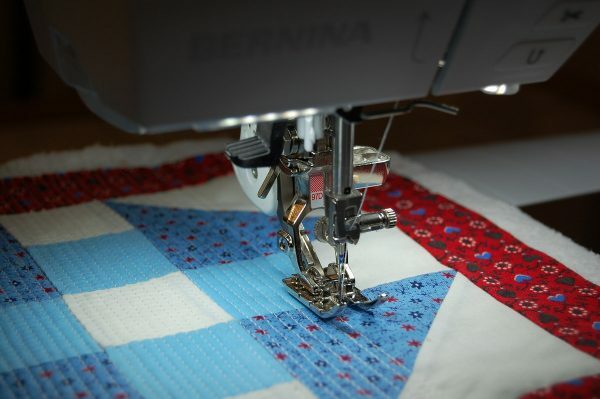 This tip post will have you quilting a perfectly straight line with the Walking foot #50 in no time! The Walking foot #50 comes with three different soles, each with a specific purpose to help you sew. Watch this video tutorial to learn about the 3 soles of the Walking foot #50. 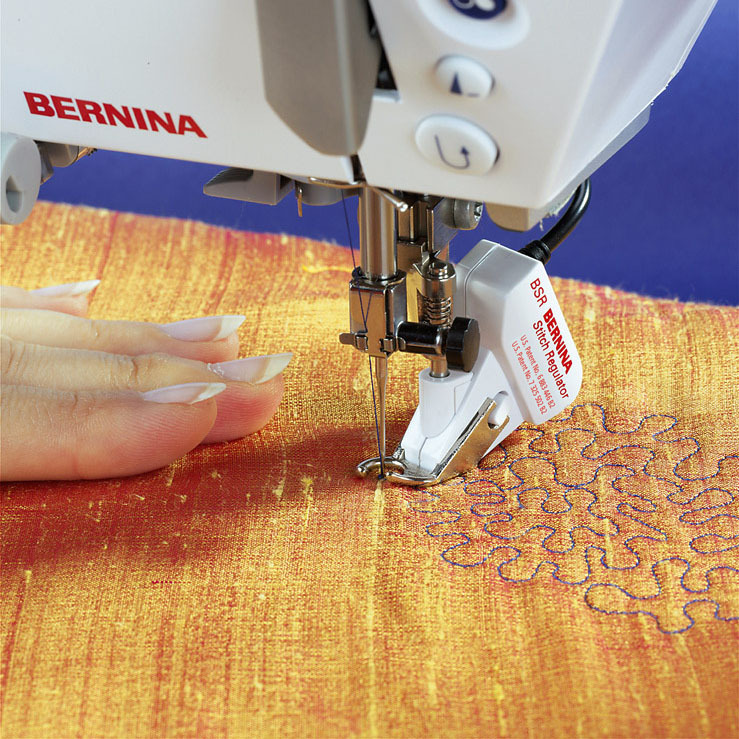 There are several BERNINA feet that can be used to create free-motion quilting. While all of these feet can accomplish straight FMQ (free-motion quilting) stitching, only one can accomodate zigzag FMQ stitches. Each of these feet has a special use, and we bet you’ll find a favorite if you try FMQ with all three. 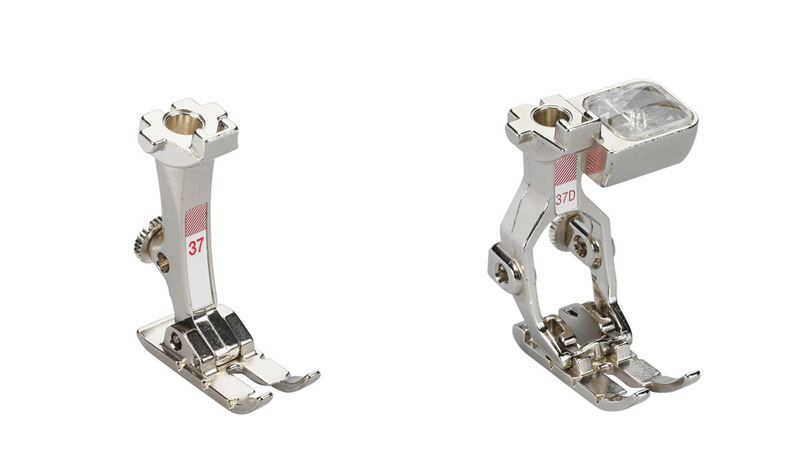 This foot has become a favorite for free-motion stitching. 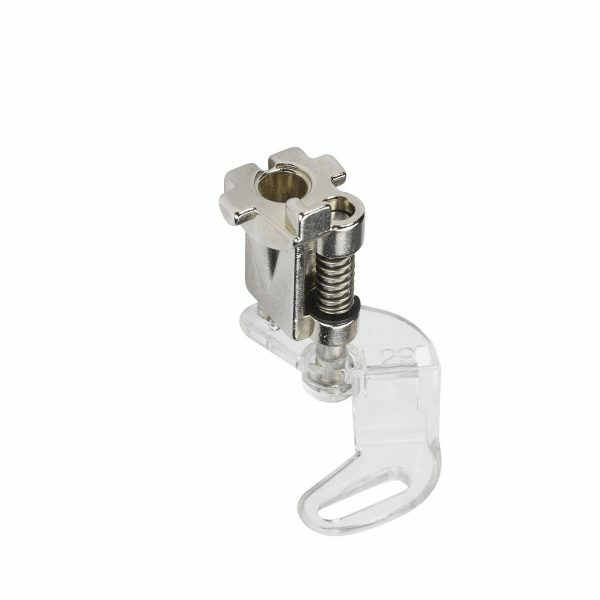 The spring action in the foot helps to prevent flagging when the needle exits the fabric. 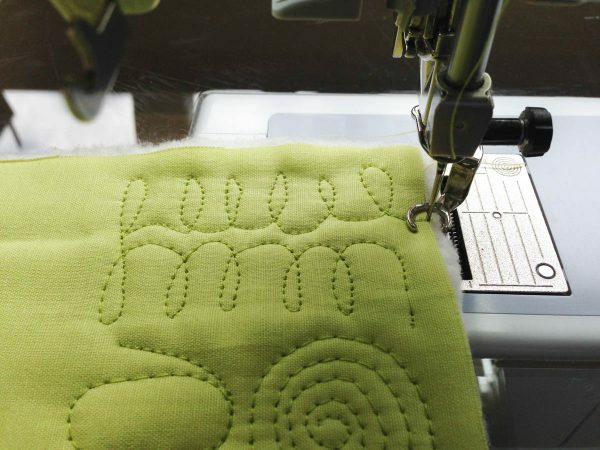 You can see how the spring action and specially shaped needle opening in this foot can help form beautiful free-motion stitches in this Quilting Tip with Darning foot #9. 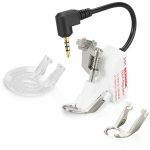 The special opening in this quilting foot allows you maximum visibility to see where you are placing your free-motion stitches. 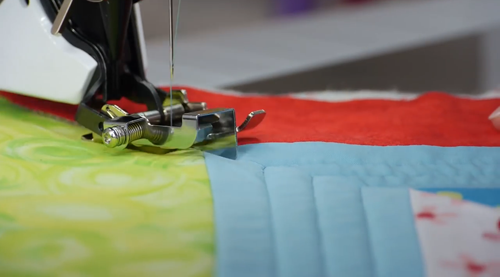 Watch free-motion quilting expert Frieda Anderson demonstrate her FMQ skills with this foot in the Free-Motion Quilting Exercise Tips video. And here’s even more tips to hone your FMQ skills using the Free-motion embroidery foot #24 from quilter Annie Smith. 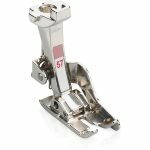 This foot has a wider opening and will allow for free-motion stitching with a zigzag stitch. The clear sole has made this foot a favorite for many quilters. Check out this tutorial to see how well the Quilting foot #29 works for quilting over fused fabrics. The BSR (BERNINA stitch regulator) can create perfectly spaced stitches while you sew. 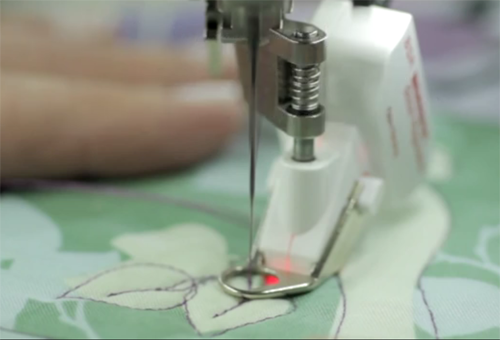 The BSR produces neat, consistent stitching with stitches of precisely the same length while free-motion sewing. 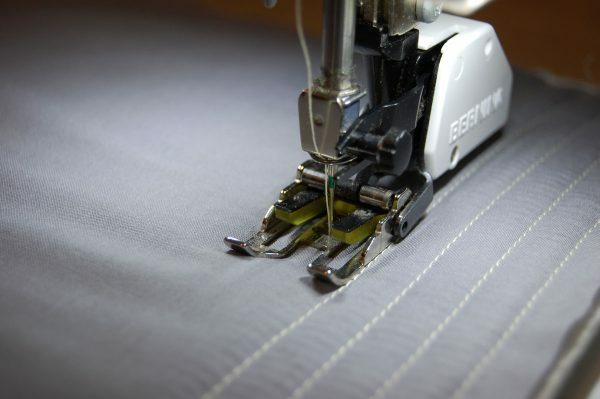 Reacting to the movement of the fabric, it adjusts the speed of of the machine automatically when free-motion quilting with the feed dog lowered. The BSR can sew both straight and zigzag stitches. It is superbly suited to ambitious professional-level sewing projects such as free-motion quilting on all fabrics. 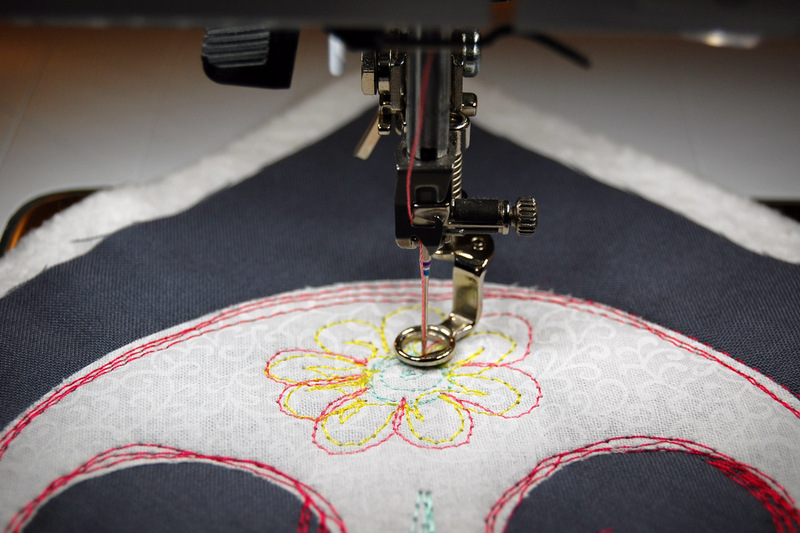 Download this free eBook to learn all about free-motion stitching and quilting with the BERNINA Stitch Regulator. 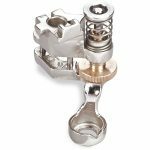 Find this fantastic Accessory Spotlight: BSR free book here. Watch a video tutorial about the BERNINA Stitch Regulator, including tips on the differences between Modes 1 and 2. You can even learn how to use the BSR without the foot control! 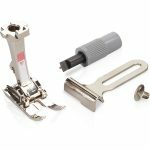 This clever foot works with your domestic BERNINA to allow you to free-motion quilt with any longarm quilting rulers to create decorative quilt designs such as lines, feathers, circles and more. Any commercial Plexiglas longarm quilting rulers with a ¼ inch thickness can be used. The height of the foot’s sole makes it possible to quilt along all the edges of these rulers which is of utmost importance especially with circles. 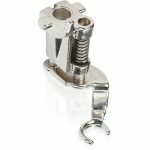 Get great tips and tricks for using the Adjustable rulerwork foot #72 (including video clips to show rulerwork in action!) 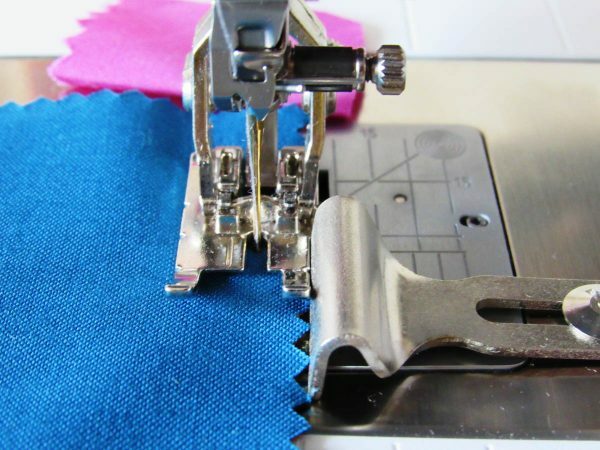 in the Adjustable Rulerwork Foot #72 Tips post here at WeAllSew. 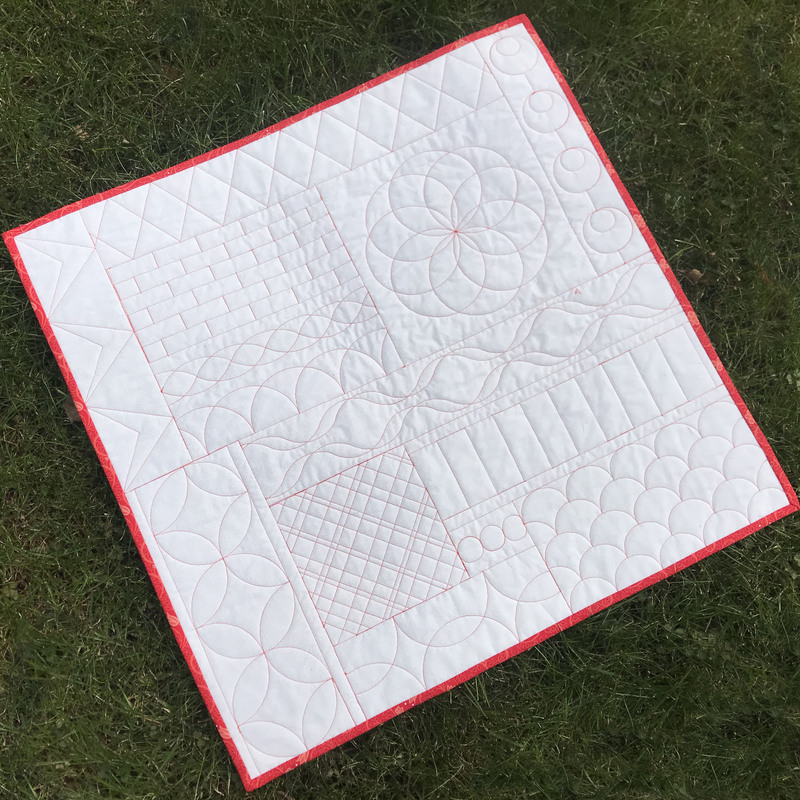 If you’d like more practice with this foot and various styles of rulers, follow along with our BERNINA Rulerwork Quilt-Along to make this rulerwork sampler. Start with Part I of the Rulerwork Quilt-Along here to get started, then move along to the Rulerwork Quilt-Along Part II, Rulerwork Quilt-Along Part III, and finish up your sampler with the Rulerwork Quilt-Along Part IV. 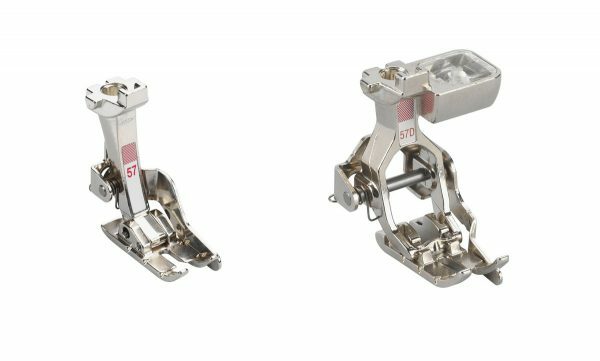 What is the best D foot to use like the walking foot? 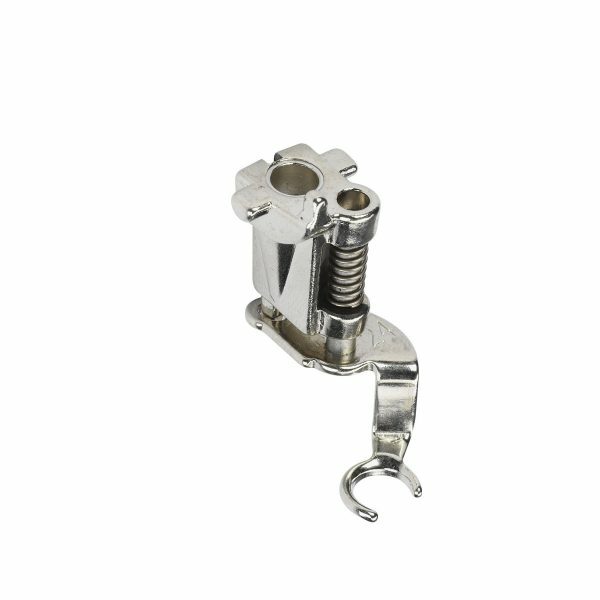 You won’t need the walking foot with a D since it hooks up to the Dual Feed that’s what the D is for. The walking foot has several choices to use that come with it.